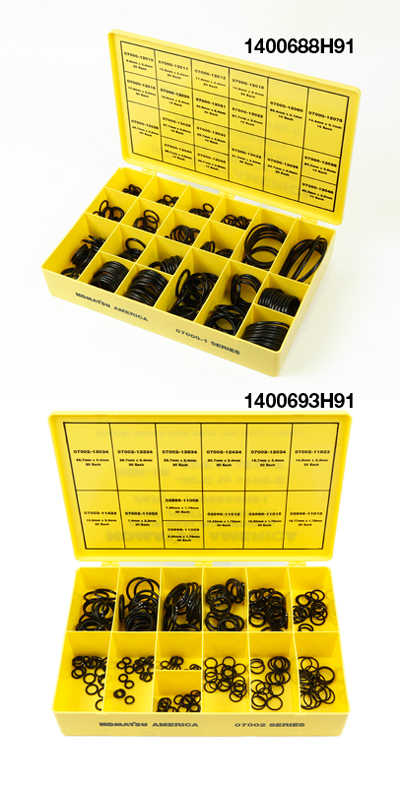 Komatsu is re-releasing two O-ring kits packed with the most popular O-rings in North America. In addition to the new kits, there is both a multi-purpose kit box and toolbox shelving system that can hold any 5 kits. Boxes are also color coded for easy identification. Komatsu genuine o-rings ensure correct fit, form and function. Easy-to-carry and easy-to-store system lets technicians spend more time servicing and less time scrambling for the right parts. Komatsu kit inventories are easy to order, easy to manage, easy to sell.